Bob was raised in Hacienda on the Russian River where he learned to paddle a canoe. He was employed in 1974 by W.C. “Bob” Trowbridge Canoe Trips (now River’s Edge Kayak and Canoe) as sweep boatman, cleaning litter off of the beaches and access paths to the Russian River from Cloverdale to Mirabel. In 1980, Bob was hired full time as the operations manager. In 1986, Bob coordinated with the newly formed Sequoia Canoe Club (now the Sequoia Paddlers), which he was a member, and other volunteers to provide canoes to extract debris, other than litter, from the river. 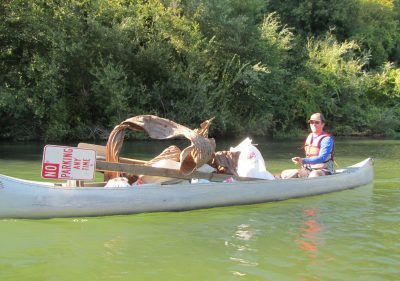 When the Sequoia Paddling Club, gave up the role as organizers of the clean up effort, Bob took on the role of the Chair of the Russian River Watershed Cleanup Committee, a position in which he continues today. 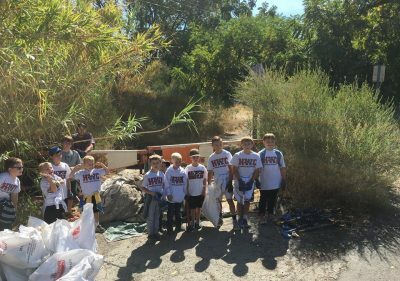 Like most volunteers, Kason got hooked on his first Cleanup in 2007. 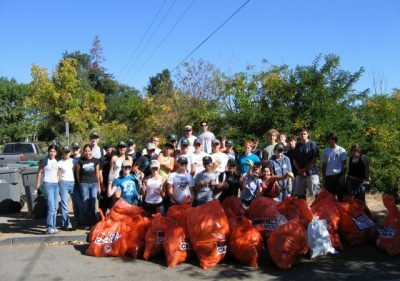 He realized that this event is one of the most effective and influential environmental stewardship efforts in northern California and felt compelled to do more. He came to a Board Meeting to offer whatever services he could. As a Water Resources Control Engineer for the State of California Water Quality Control Board, North Coast Region, Kason brings a statewide water quality perspective to this local event. Ever since, he has provided logistical input on all issues from sign-ups to outreach and long-term strategic planning. Kason grew up on the shores of Lake Tahoe and the banks of the Yuba River where he developed his environmental stewardship ethic. His first experience river kayaking was with the Canoe and Kayak Club at the University of Auckland, New Zealand. 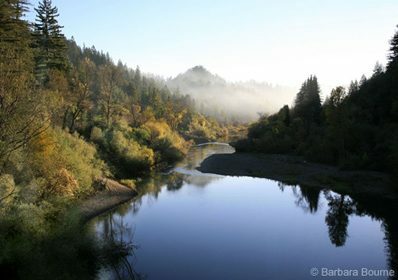 In 1990, shortly after moving to Sonoma County, Debora attended the second annual Russian River Watershed Cleanup as a result of an ad she saw in the Sierra Club Needles newspaper. It was a small event, with only 35 volunteers that day, and the group provided their own picnic at the end. 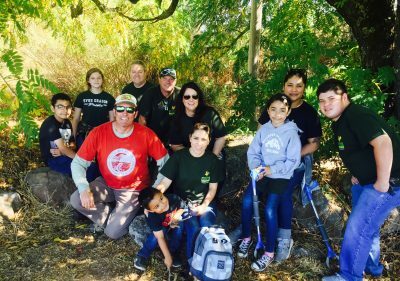 As an employee at PG&E, and Debora thought that she could enlist the help of her company as a sponsor for the next year’s cleanup, which included T-shirts and a barbeque for all participants. Debora’s insight paid off. In 1991, she was able to get a large number of her co-workers to volunteer for the event. She also submitted a grant application to the corporation and since then, PG&E has contributed $2500 each year. Debora has used her organizational and leadership skills to step up the involvement in the cleanup effort. She has over 20 years with the Russian River Watershed Cleanup committee. Carl is a Sonoma County native who learned to canoe and kayak on the Russian River many years ago. His involvement with the Russian River Watershed Cleanup began in 1990, the cleanup’s second year. Carl serves as a route leader and occasionally, as the organization’s secretary. Nancy’s husband has been a canoe leader on the annual cleanups, so her first experience was participating as a volunteer in a canoe with him. Her husband had been a leader in the Cleanup Committee so Nancy would occasionally join him at the meetings. At one memorable meeting that she wasn’t able to attend, her husband volunteered her as the committee’s treasurer. She quickly learned to not miss any more meetings. Since then, she has been the treasurer for the cleanup committee. She is responsible for all accounting responsibilities for this non-profit organization. Nancy makes sure that all cleanup participants have plenty of supplies on the day of the event. Most of her work comes after the day of the cleanup when all the bills are due. Eric has worked on the Russian River Cleanup since the early 1990’s. 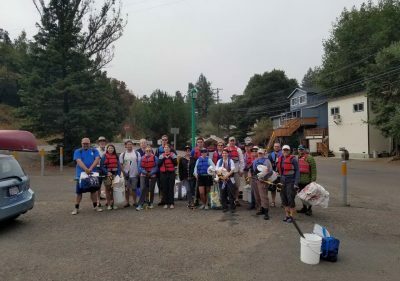 Eric’s primary role has been to organize all the trip leaders and assistant leaders that guide participants down all 55 plus miles of the Russian River covered by the Cleanup. He typically leads a reach himself. Eric’s motivation is simply to have clean rivers for fish, wildlife, the public and to boat on. He firmly believes that people are much more likely to leave trash if other trash is present. Dave is no stranger to canoeing or cleanups. Paddling since age 7, Dave has canoed rivers in a dozen states and organized stream cleanups in Pennsylvania for the Sierra Club before moving to Forestville 7 years ago. 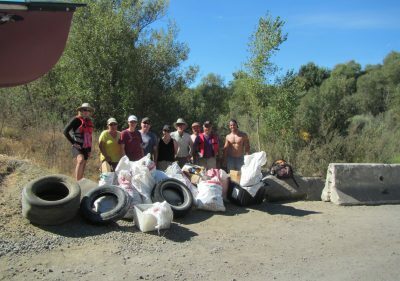 So, joining the Russian River Cleanup was a natural choice for Dave, and he immediately started organizing others with the Civil Engineering company he works for to join in the cleanup over the last 7 years and has been a Section Leader over the last 4. Dave currently also serves as the Outreach Coordinator. Annabel is a long time Sonoma County resident and activist. As a writer she is the author of several blogs including The Frugal Goddess, and is currently working on a guidebook to local food in the USA. She is on the executive commitee of the Sonoma Group of the Sierra Club where she serves as membership chair and organizes the environmental forums. Ms. Ascher has a deep love of the natural environment in Sonoma County, especially our beloved Russian River watershed.